This summer, the Pomona College class of 2016 is reading Héctor Tobar’s contemporary novel, The Barbarian Nurseries. Incoming students will receive a copy of from the college and read it over the summer. The book, winner of the California Book Award for Fiction, is about a Mexican maid working for a Mexican-American family in a Los Angeles villa who witnesses tensions between her married employers rise to the breaking point, and then finds herself left alone in the house with their two sons. The author weaves issues like immigration, racial and class divides, and social and familial conflict into a character-driven story that’s set just miles from Pomona’s campus, but is relevant across the U.S.
Héctor Tobar will visit campus to speak and to meet students during orientation in the fall. Faculty will also lead small group discussions among the newest members of the Pomona community, and “there will be many opportunities to share [their] thoughts, reflections, and ideas about the book” with other faculty, staff, and students leaders in Sponsor and Peer Mentor roles, who will have read it, too. 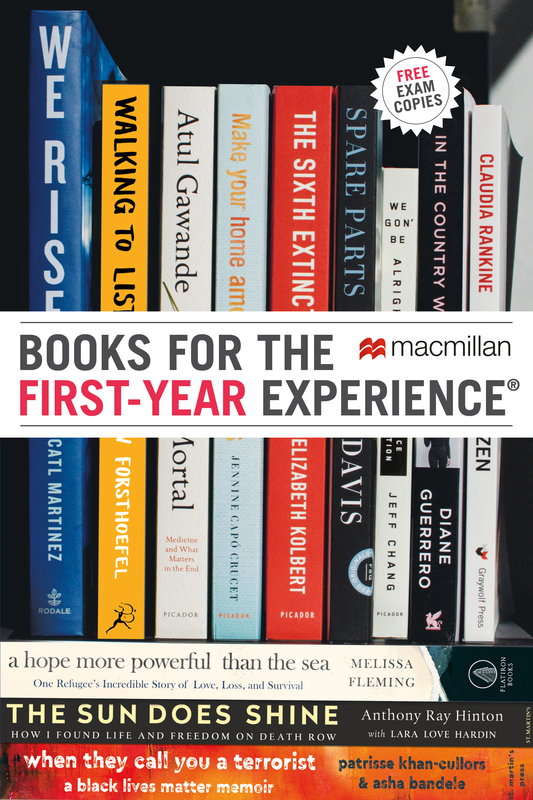 Each year, the First-Year Book is selected by an Orientation Committee served by college faculty and three Pomona students under the direction of the Dean of Student and the Coordinator of the Critical Inquiry Seminar Program. In 2010, the committee chose Pierre Bayard’s How to Talk About Books You Haven’t Read for the summer reading program. The Barbarian Nurseries is the second novel that the school has selected, following last year’s adoption of Kazuo Ishiguro’s Never Let Me Go (Vintage, 2006). To read about other fictional works from Macmillan that have been adopted for common reading programs, click here. Jennifer Thompson-Cannino and Ronald Cotton’s Picking Cotton: Our Memoir of Injustice and Redemption is the 2012 Summer Reading Program pick at Wheelock College! Each incoming first-year student will receive a copy of the book from the college this summer. During orientation in the fall, new students will discuss the book in small groups, led by volunteer faculty and staff members. For more information about Picking Cotton and authors, speakers, and activists Jennifer Thompson-Cannino and Ronald Cotton, click here and visit The Innocence Project.